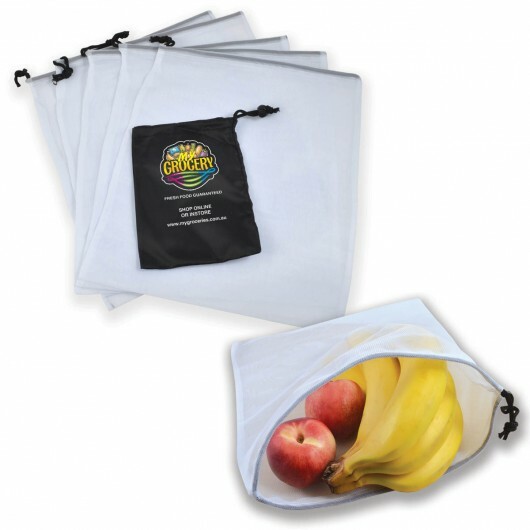 The ultimate promotional product that's Enviro friendly, regularly used and features your logo! You don't use single plastic bags at the checkout anymore so why use plastic produce bags? These bags are an easy alternative that's Eco friendly and can be used over and over again. 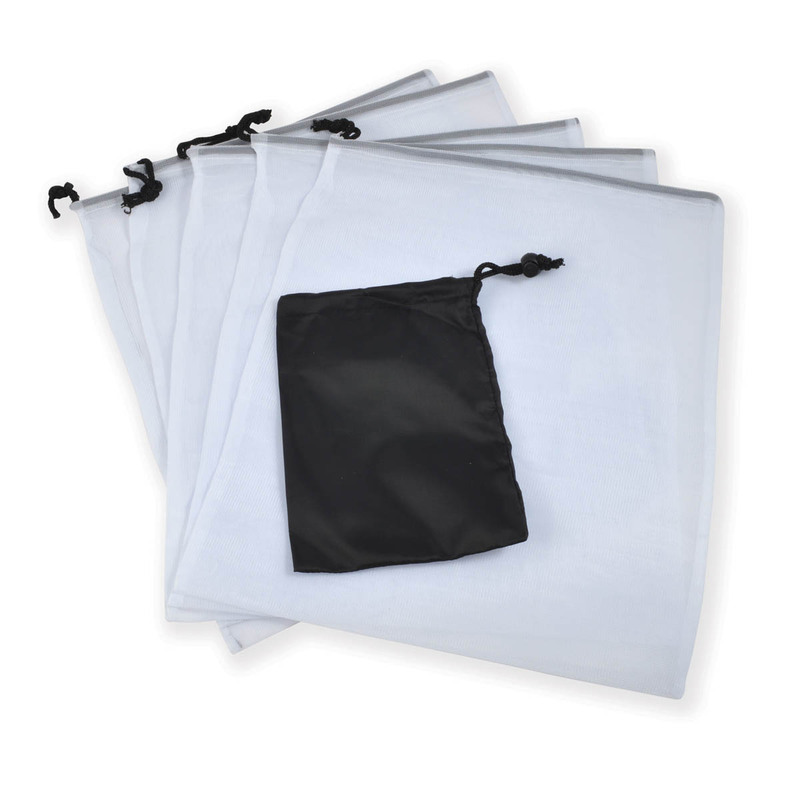 They include 5 mesh drawstring bags in a drawstring polyester pouch and pack down to a compact size when not in use. 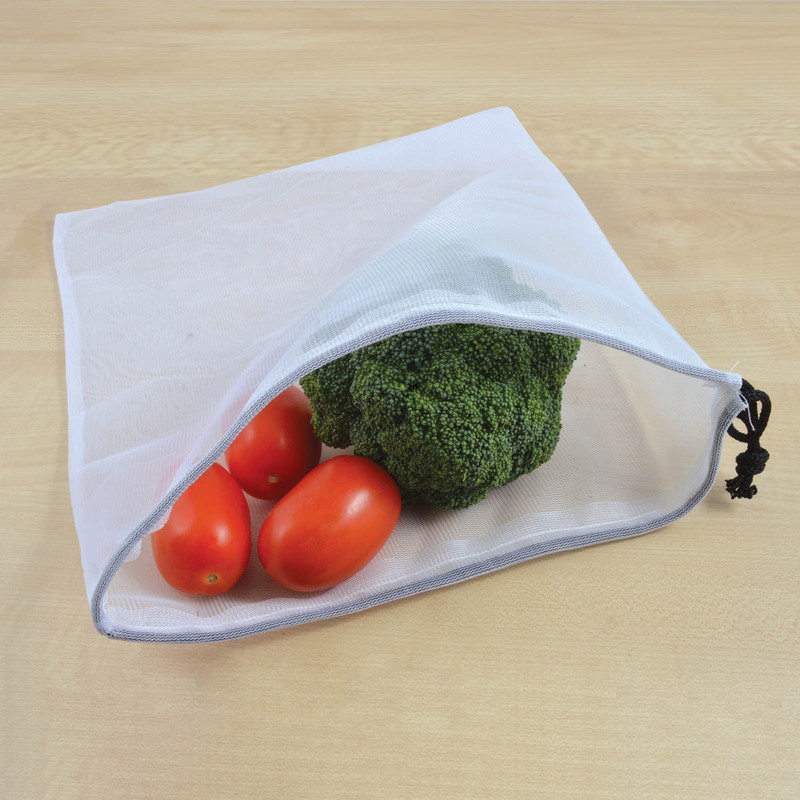 The bags are excellent for fruits, vegetables, herbs and bulk goods with a mesh weave that allows air to flow through and produce to stay fresher for longer. 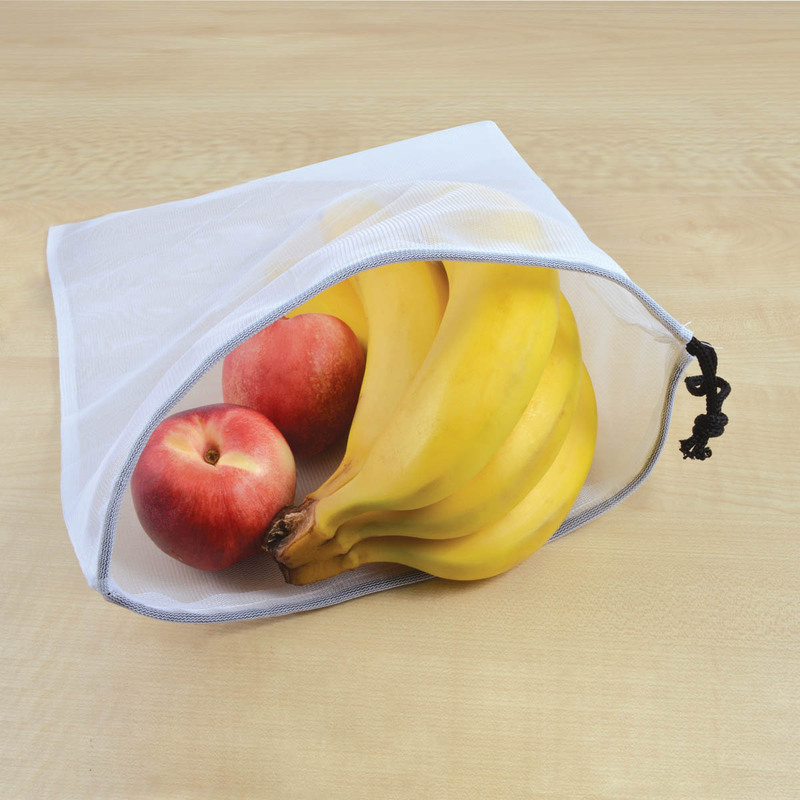 There's also tonnes of other creative uses for these bags - how are you going to use yours?